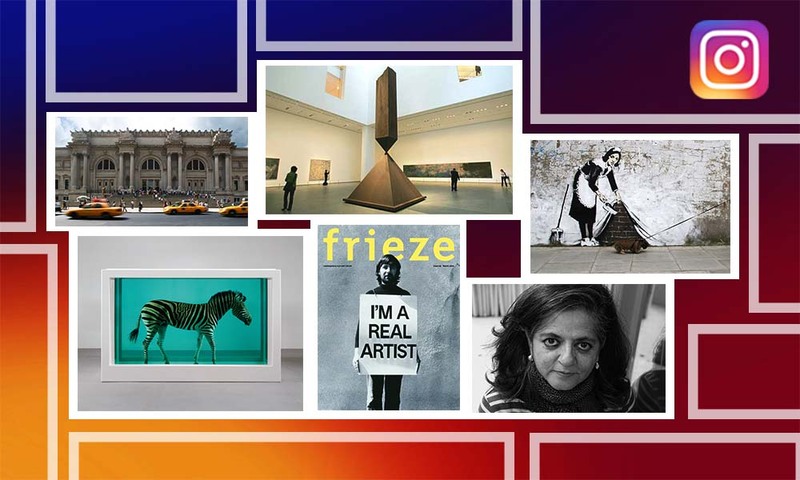 Famous for his cubist and pop art paintings, Jyoti Bhatt’s astounding creativity has this time been showcased in the form of uniquely paired photographs at Satya Art Gallery. Peep into Bhatt’s eccentric perspectives of Indian rural folk art. 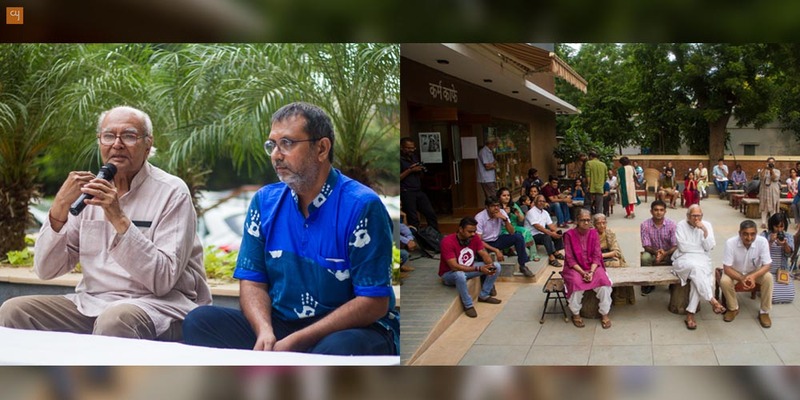 In the presence of veteran creators Esther David, Amit Ambalal, Vivek Desai, BV Doshi, Anil Relia the gifted creator Jyoti Bhatt revealed an exceptional aspect of his creativity at the Satya Art Gallery, Navajivan Trust, on August 19, 2017. Under the banner of Roop-Swaroop exhibition, which is continuing until September 3, 2017, Bhatt has displayed more than 96 photographs, all shot within the time span of 51 years, through 1966 to 2017. The photographs cover multiple geographies, across different directions in India, expressing the vividness of the rural and folk art of the nation. 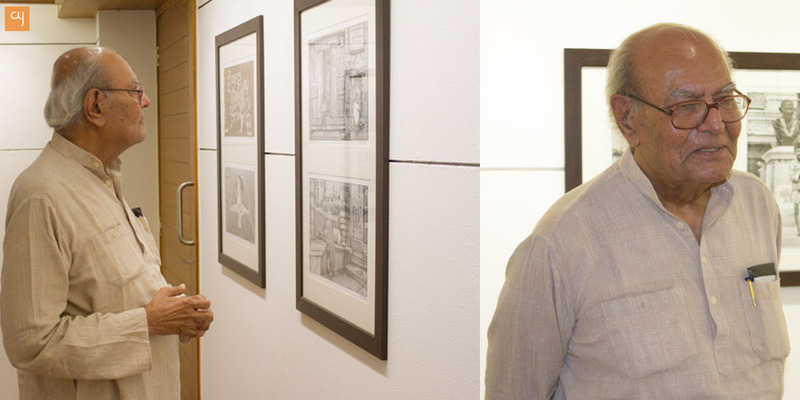 The exhibition’s inauguration was accompanied by an insightful discourse and no-holds-barred Q&A session where Bhatt explained his relationship with the art of photography, describing how it has helped him evolve a knack for noticing creativity. 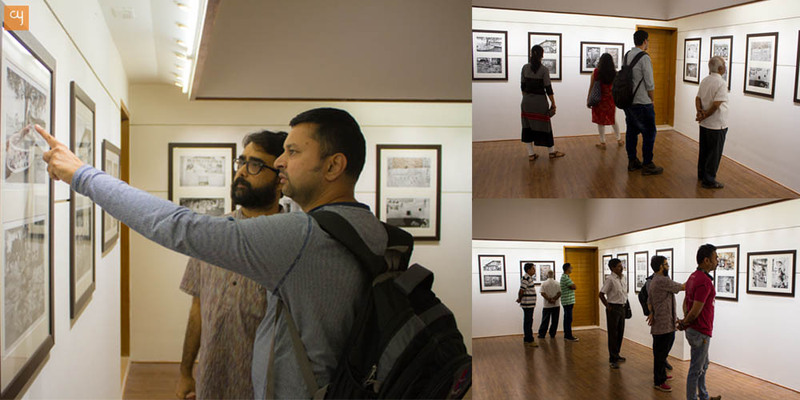 Since the Managing Trustee of Navjivan Trust and gallerist Vivek Desai is himself a professional lensman, and Jyoti Bhatt is a name that has created history in the field of art now, the gallery was brimming with enthusiastic budding photographers who came there to borrow inspirations from the master. Having used multiple cameras over the years, Bhatt has experienced the evolution of art over the course of his own lifetime, it seems. From film rolls to digitalisation of images into pixels, Bhatt is himself evidence of photography’s timeline –a timeline that has evolved over decades. The showcase is, moreover, a journey. 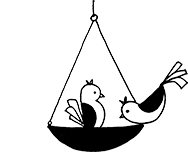 Frames have been displayed in pairs, such that, while these pairs get interlinked with each other hypothetically, they contradict each other enormously, pragmatically. Given the opportunity, I would personally rename the showcase as ‘Correlations in Contradictions’. The paired compositions are equally fascinating when the frames and situations display moving subjects. An aesthete experiences a flood of thoughts while glancing at a visual of the Aravali ranges placed adjacent to a picture showcasing Ladakh’s Himalayan range. Every picture showcases a grassroots anecdote, be it a political campaign of Congress or the communist movement of ’84 in Kerala. Jyoti Bhatt’s alma mater was MS University, Vadodara and he developed his aesthetics under the mentorship of KG Subramanyan and NS Bendre. He has received various honorariums, including the Senior Artist Award by All India Fine Arts and Crafts Society, New Delhi, and a Hon. Doctorate by Rabindra Bharati University, Kolkata. 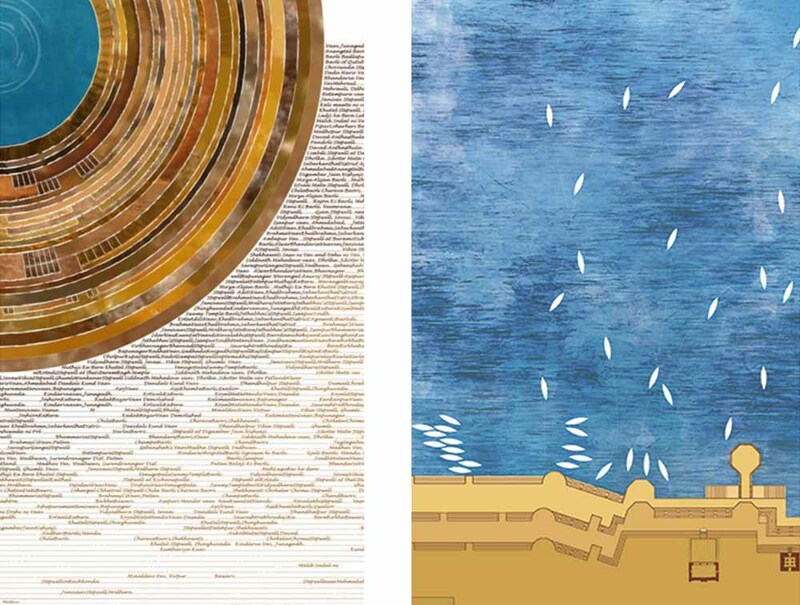 His artworks are displayed in international collections in New York, Washington DC and London. 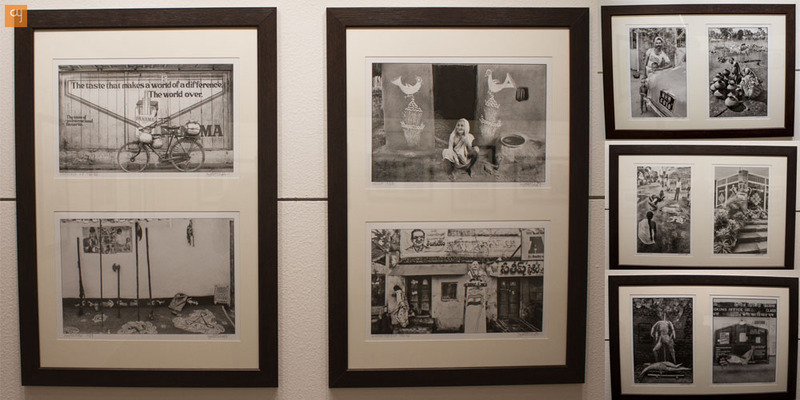 Bhatt’s exhibition explains a lot more than meets the eye. Be sure to invest a few moments in understanding the concealed perspectives in every paired frame, lest you overlook them!